We are delighted to announce that our keynote speaker will be Meda Chesney-Lind, Ph.D. 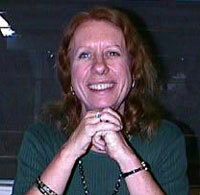 Professor Chesney-Lind teaches Women’s Studies at the University of Hawaii. Nationally recognized for her work on women and crime, her testimony before Congress resulted in national support of gender responsive programming for girls in the juvenile justice system. In 2013, the Western Society of Criminology named an award after her honoring “significant contributions to the fields of gender, crime and justice” and made her the inaugural recipient. Most recently, she has been elected President of the American Society of Criminology; her term will begin in 2019. Her keynote at our conference will focus on Feminist Criminology, Repression and Resistance: The Global South responds to rightwing movements in the Global North. Further information on each of our conference guest speakers including International Visitors and Emerging Australian Scholars can be found here.